Mr. Weber will discuss the ethical implications when attorneys are engaged in business activities with their clients, including possible pitfalls and consequences thereof. In today’s legal environment, clients continue to stress the importance of alternative fee arrangements. Ms. Khan will discuss the implications of these arrangements, what is allowable and disallowable, and present examples of poor fee structures. Mr. Caligiuri will be sharing with the audience trends in ethics violations, disciplinary cases and best practices to avoid violating ethic rules for lawyers. The presenters will discuss, in roundtable format, the implications of professionalism trends in the legal community. This discussion will include case studies and best practices for remaining in compliance. Mr. Caligiuri will discuss matters of substance abuse, the resources available to attorneys suffering from substance abuse and other important thoughts on this critical issue for lawyers. Joe is a Senior Assistant Disciplinary Counsel for the Supreme Court of Ohio. Joe is responsible for investigating and prosecuting lawyers and judges accused of ethical misconduct. He is a frequent lecturer for the OSBA CLE Institute, the Ohio Judicial College, and is an adjunct professor of law at The Ohio State University, where he teaches Professional Responsibility. Joe was a former prosecutor in Buffalo, NY, and is a graduate of the New England School of Law, Clemson University MBA Program, and the State University of New York at Buffalo. Joe is a member of the OSBA, National Organization of Bar Counsel, and the Association of Judicial Disciplinary Counsel. Geoff served as Disciplinary Counsel of the Supreme Court of Ohio, as well as chair of the Ohio State Bar Association’s Committee on Legal Ethics and Professional Conduct. He heads the professional responsibility practice area at Kegler Brown and is a frequent speaker and expert witness on ethics/malpractice. 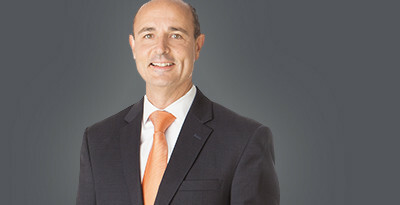 Geoff was selected as Columbus Appellate Lawyer of the Year 2012 by Best Lawyers in America®. Chris focuses on trial and appellate advocacy in areas of professional responsibility, commercial litigation and corporate governance, and compliance law. He has tried and argued several disciplinary cases to successful conclusions and is a frequent speaker on disciplinary matters. Rasheeda focuses on trial and appellate advocacy in areas of commercial litigation, professional responsibility, and criminal defense. She has served as first and second chair on numerous hearings before the Board of Commissioners on Grievances and Discipline, the Board of Commissioners on Character and Fitness, and the Ohio Supreme Court. RSVP by contacting Jenn Cartmille, [email protected] or (614) 462-5475. There is a $50 fee to attend this program. We accept cash and checks on the day of the seminar and will accept credit card payments in advance by telephone. Deadline for registration is Wednesday, September 12, 2012.